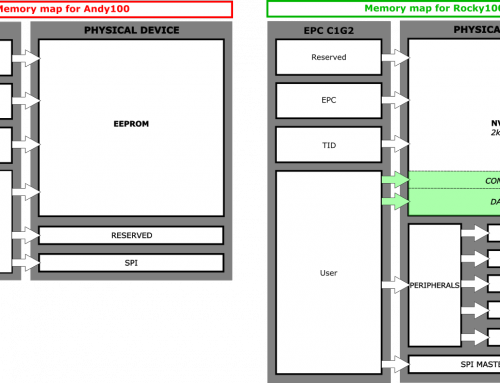 We are back with second part of the post sensitivity as one of the biggest changes of the Rocky100 chip. The better the receiving circuit is in the RFID chip, the lower the power of the signal that will be bounced to the reader. As an example: imagine two chips – A and B. They are exactly the same except for the receiving circuit. The same reader is sending signals two both tags and chip A can receive the signals at 15 meters and tag B can do it at 20 meters. We did not say that tag A and tag B could be read at 15m and 20m but that the message was actually received at the tag side. The backward link is going to be a lot better from tag A than from tag B just because the signal has travelled 10 meters more in the air – 5 extra meters in the forward link and 5 extra meters in the backward link. The signal that reaches the reader from tag B is going to be a lot weaker than the signal from tag A. This being clarified, what’s the sensitivity of the chip in BAP mode? 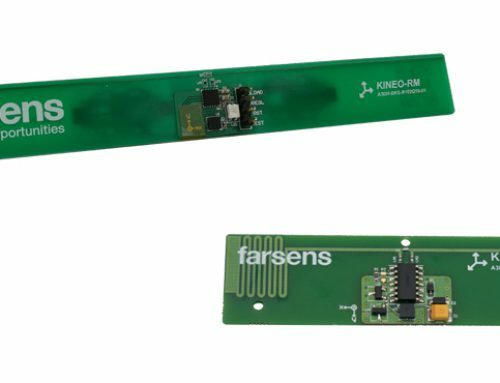 If we define the sensitivity as being able to read the ID from the reader, the feature is not independent for the chip but more of a “system” feature where it may depend on the reader sensitivity. On the contrary, if we define the sensitivity as the tag being able to reply to the reader, this value is completely independent but having a very high sensitivity may not correspond to a higher read range – the higher the sensitivity in the tag chip, the lower the signal to be read by the reader. Once the first samples of the Rocky100 chip were available we run some quick test to compare how the chip works in comparison with other RFID chips in the market. We used the Voyantic system to get results on sensitivity. We did not use just our tags but tested in the same setup with different commercial tags. This way we can see how our chip performs against other chips in the market. To be able to compare, we had to take the antenna out of the equation during the testing. Basically, we decided to work with antennas that have a similar gain so that this part did not impact the results we wanted to have. 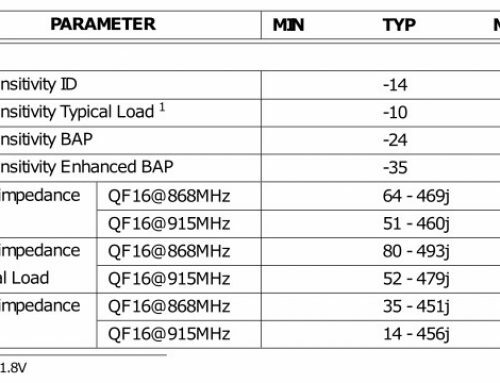 As you can see in the picture, simulations on the Rocky100 chip had shown values of sensitivity in the range of -13dBm to -15dBm for passive ID, -22dBm to -26 dBm in BAP mode and -33 Bm to -36dBm in EBAP mode. The setup of the tests was not in an anechoic chamber nor the tests were super strict for chip sensitivity measurement but you can clearly see the comparison between the performance of different chips. 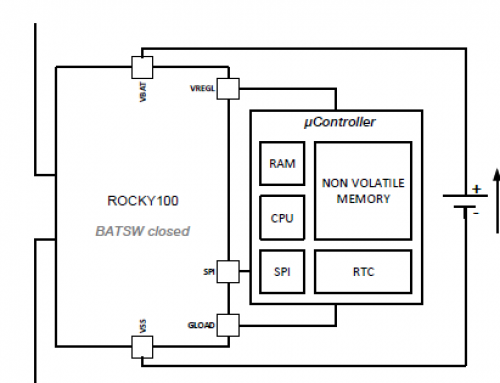 Passive mode is not a battle for the Rocky100 to fight against most commercial chips. The Rocky100 has been designed for extended capability tags, not just ID. 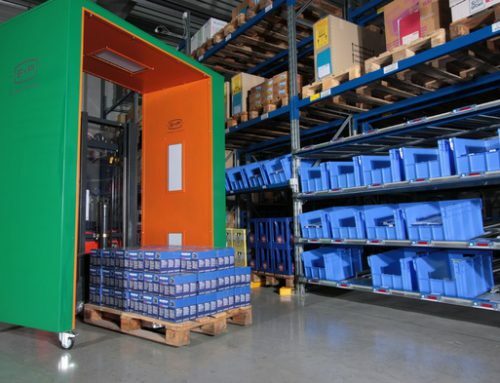 The circuits in the Rocky100 have been designed to be able to supply power to external devices at a certain voltage level. That requirement impacts the sensitivity of the chip in completely passive mode. However, the active mode is similar for all chips since they are powered by an external battery or source. In this case, it doesn’t matter how much energy external devices require because the energy is available with the battery. In BAP mode, we can see the sensitivity of the Rocky100 much higher than the other chips. The Voyantic system showed results of -35dBm for the battery assisted mode in Rocky100 based tags, which is consistent with the results we got in simulations. a higher sensitivity of the chip will directly increase the read range of the tag for the same output power and size. a higher sensitivity will allow you to get more power from the tag if you maintain the same read range and size. 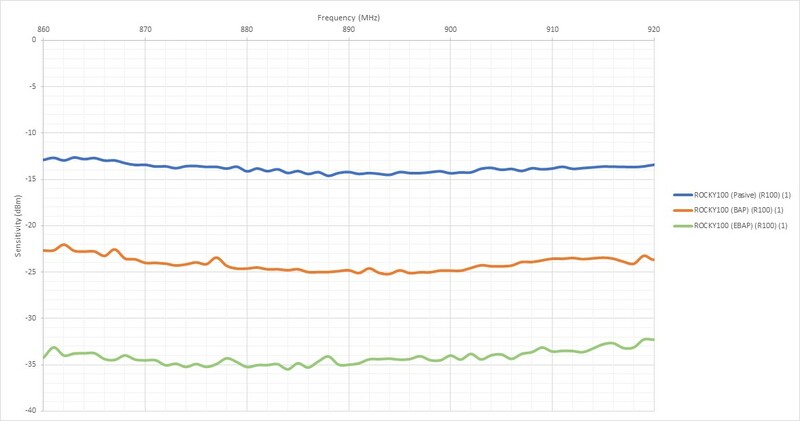 a higher sensitivity will allow you to reduce antenna size (11dB difference with ANDY100) to get the same power and read range.